<Jim Carroll, OND: How can Spirent help with the transition to TLS v1.3? David DeSanto: Spirent added functional security testing for TLS v1.3 to its industry-leading CyberFlood product line in July of 2017 when adding TLS v1.3 support to its Advanced Fuzzing solution. This allowed protocol developers, QA teams, and security researchers to confirm the stability and reliability of the TLS v1.3 implementations they have built or are validating. This includes hunting for software defects within the implementation, which could lead to software vulnerabilities. We entered the market one year ago and extended our TLS v1.3 support in February of this year when we added performance security testing for TLS v1.3 to our CyberFlood product line. Spirent’s goal is to provide thought leadership and be a partner to allow customers to launch new solutions with confidence in network functionality, performance, and security at scale. Others are now following our lead in providing solutions to help enterprises validate their security posture. Cloud Firestore launching for all users developing cloud-native apps. Cloud Firestore, which is a serverless, NoSQL document database, brings the ability to store and sync app data at global scale. Regional replication, visualization tool is now available for Cloud Bigtable, which is a high-throughput, low-latency, and massively scalable NoSQL database. 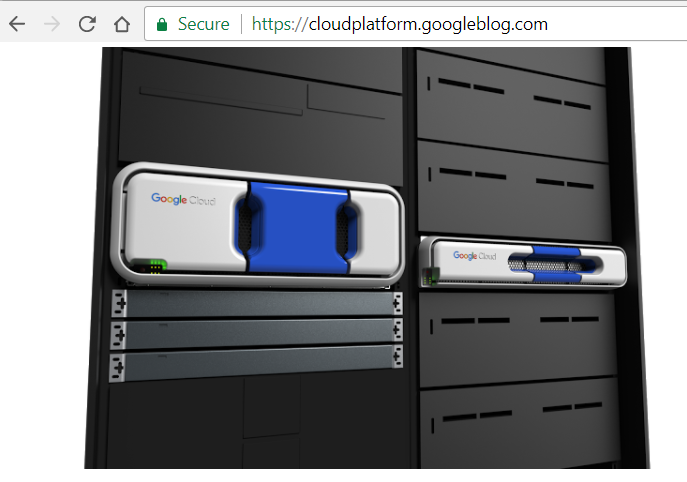 GCP is partnering with Intel and SAP to offer Compute Engine virtual machines backed by the upcoming Intel Optane DC Persistent Memory for SAP HANA workloads. GCP is scaling up its instance size roadmap for SAP HANA production workloads from a max of 4TB currently to 12TB of memory by next summer, and 18TB of memory by the end of 2019. Google Compute Engine gains additional resource-based pricing options. With resource-based pricing, Google will add up all the resources you use across all your machines into a single total and then apply a usage discount. euNetworks completed network investment projects in Ireland and the Netherlands. In Ireland, euNetworks’ dc connect solution is now enabled in Dublin, giving customers access to an interconnected network of near instant capacity between 15 data centres in the city. In the Netherlands, Hilversum has also been enabled with dc connect, supporting existing media clients in the region. euNetworks’ dc connect solution is available across the Netherlands, in Amsterdam, Rotterdam, Utrecht and now Hilversum, with pre-deployed capacity to 34 data centres in-country. CAPEX – Capital expenditures for the second quarter of 2018 were $3.46 billion. Having failed to gain regulatory approval from China, Qualcomm abandoned plans to acquire NXP Semiconductor. The original purchase agreement was announced on October 27, 2016. Qualcomm subsequently raised its offer to approximately US$44 billion. The deal gained regulatory approval in the U.S., the European Union, and other regions, however, the authorities in China expressed concern over the effect on competition and ultimately neither approved nor blocked the deal. Separately, Qualcomm reported revenue of $5.6 billion for its fiscal third quarter ended June 24, 2018. 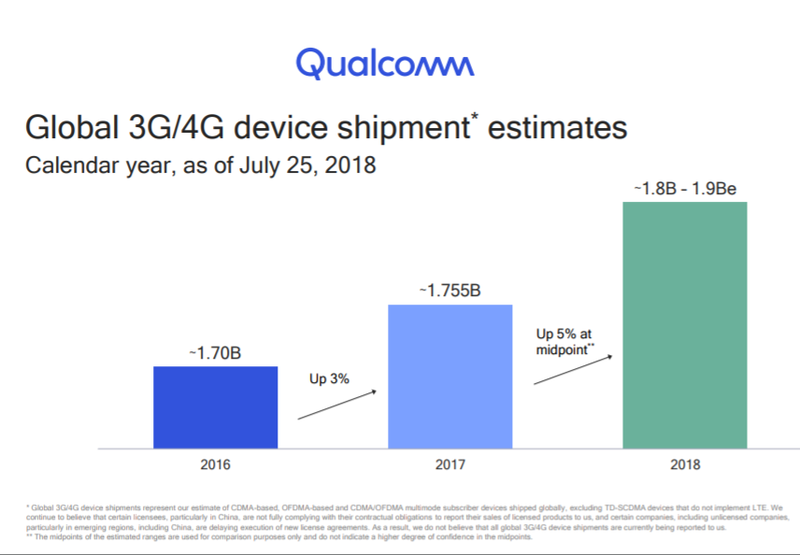 Qualcomm said that its results have been negatively impacted by its dispute with Apple and its contract manufacturers (who are Qualcomm licensees). The company did not record revenues in the first nine months of fiscal 2018 or the third or fourth quarter of fiscal 2017 for royalties due on sales of Apple’s products. We expect the actions taken by these companies will continue until these disputes are resolved. F5 Networks reported revenue of $542.2 million for its third quarter of fiscal 2018, up 4.7% from $517.8 million in the third quarter of fiscal 2017. F5 cited growth with its software solutions and services business. GAAP net income for the third quarter of fiscal 2018 was $122.7 million, or $1.99 per diluted share, compared to $97.7 million, or $1.52 per diluted share in the third quarter of fiscal 2017. “I’m pleased with results for the third quarter,” said François Locoh-Donou, F5 President and Chief Executive Officer. “We continue to see momentum in our security and software business, traction in our public cloud offerings and customer excitement around new multi-cloud application solutions like BIG-IP Cloud Edition. F5 also announced the appointment of Chad Whalen to Executive Vice President, Worldwide Sales.He was promoted from his role running F5’s worldwide cloud sales team where he was responsible for the company’s global public cloud sales strategy, program development and execution. Previous to F5, he served as VP of Global Alliances and Cloud Services at Fortinet and the GM/VP of North America Field Operations. BT Group is seeking consultations with unions and employees regarding the transfer of 31,000 employees into Openreach, which will soon be a fully independent company. The goal is to complete the transfer on 1 October 2018. BT said it is making progress in creating the separate legal entity Openreach Limited, with its own independent board and strategy. “We are absolutely committed to giving Openreach greater strategic independence and ensuring it delivers the connectivity and service that homes and businesses across Britain need," stated BT Group chief executive Gavin Patterson. SpaceX successfully launched ten Iridium NEXT satellites from Vandenberg Air Force Base in California. This is the seventh of eight planned launches of Iridium NEXT satellites by SpaceX, bringing the total number of Iridium NEXT satellites in space to 65. All 10 satellites for this mission will be deployed to Iridium orbital plane number 5, where they will go into operation immediately following a thorough testing and validation process. The Iridium network is comprised of six polar orbiting planes, each containing 11 operational crosslinked satellites, for a total of 66 satellites in the active constellation. Once all the satellites from the Iridium-7 mission are operational, plane 5 will be the fourth orbital plane to be comprised entirely of Iridium NEXT satellites. In total, 81 Iridium NEXT satellites are being built, with 66 in the operational constellation, nine serving as on-orbit spares and six serving as ground spares. ROOT Data Center will build a third data center at its MTL-R1 La Salle campus in Montreal. MTL-R1B is a greenfield development that will create an additional 10MW of power capacity. The company says roughly 20 percent of the new facility’s capacity has been pre-sold prior to beginning construction. This new build follows the recent announcement of an additional 6MW at ROOT’s MTL-R2 facility. ROOT noted that its Montréal facility uses nearly 100% hydro-electrically generated energy. Rescale, a start-up based in San Francisco, raised $32 million in Series B funding for its enterprise cloud solutions. Rescale specializes in "enterprise big compute in the cloud." The idea is to transform on-premise HPC systems by enabling access to the world's largest high performance computing infrastructure in the cloud. Rescale offers access to global data centers, the very latest HPC hardware and a complete library of engineering, scientific and mathematical software. Initialized Capital, Keen Venture Partners and SineWave Ventures led the Series B funding round joining a group of more than 30 existing and new investors in Rescale including Sam Altman, Jeff Bezos, Richard Branson, Chris Dixon, Paul Graham, Ken Hao, Adam Smith, Peter Thiel, Steve Westly, Data Collective, ITV Ventures, Jump Capital, M12 (formerly Microsoft Ventures), Mitsubishi UFJ Capital, Quiet Capital, Streamlined Ventures, Translink Capital, Two Roads Group and Y Combinator. Rescale has now raised $52 milllion in total. C Spire has selected Siklu's multi-gigabit wireless technology to backhaul high-speed internet service to thousands of homes and businesses in Mississippi. 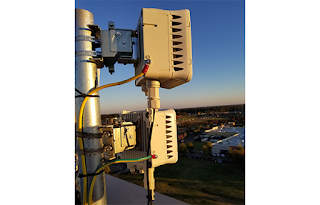 C Spire is using Siklu solutions to extend existing fiber optic assets for last mile connections in neighborhoods and business districts in over 150 Mississippi towns and communities. Siklu's point-to-point and point-to-multipoint radios operate in the uncongested 60,70-80 GHz mmWave bands and can deliver interference-free connections up to 10 Gbps. 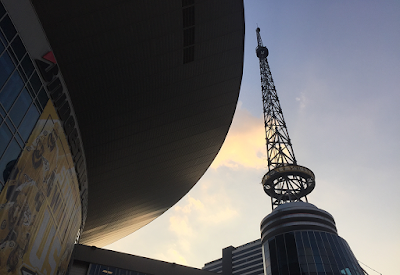 "As a leader in mmWave solutions, we're excited to work with C Spire to provide 5G fixed wireless connectivity, which enables them to offer affordable, high-speed internet access to more customers," said Siklu CEO Eyal Assa. "With our virtually interference-free technology, this network will provide years of reliable service in the future."